The Enterprise Ethereum Alliance, a group of 500 companies, has published its first standard for a business-centric distributed ledger that promises to speed up transactions while increasing privacy. A blockchain standards group made up of hundreds of businesses and tech development members has unveiled its first specification for enabling the development of peer-to-peer, decentralized networks explicitly for automating corporate transactions. 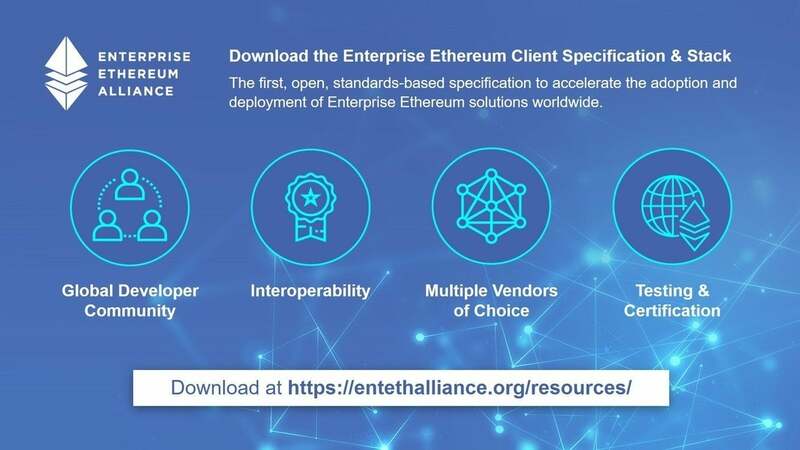 The Enterprise Ethereum Alliance (EEA) last week released the Enterprise Ethereum Client Specification 1.0, an open-source framework to speed business transactions, boost privacy for contracts and create a faster, more efficient business transaction workflow. The EEA Specification and its architecture stack is based on blockchain components developed by the Ethereum Foundation, the organization behind the world's second most valuable cryptocurrency: Ether. By using the EEA's new specification, developers can write code that enables interoperability between businesses and their customers, either over a permissioned or public blockchain. The specification sets up a framework for setting up permission to join a blockchain network. "You think about where Ethereum currently sits. It has great core competencies around value transfer, sending people Ether. It's created the standard for fundraising through token offerings [initial coin offerings]," said Tom Lombardi, EEA's head of market development. "But the goal of the alliance is to build a framework where we can use Ethereum, which has the largest developer based in the world, in a corporate setting. "These large companies have compliance hurdles, legal hurdles and certain levels of bureaucracy where they have to check all the boxes before they can use a technology like this," Lombardi said. 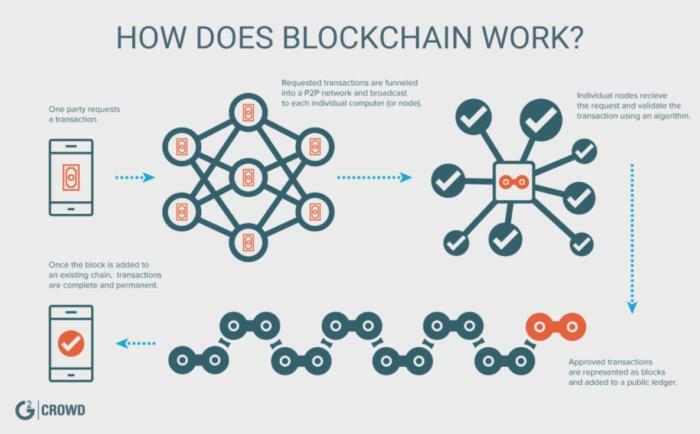 The blockchain specification and its architectural stack promises greater transactional efficiency because it allows data to be taken "off-chain," or outside the primary blockchain ledger and processed in a separate database behind a firewall. The primary blockchain is then only used to validate completed transactions and can create a separate hash to represent the data offline for privacy and security. Processing information off-chain is becoming a popular concept for increasing the efficiency of blockchain networks, which can take many minutes to process a single transaction. For example, bitcoin on average takes 10 minutes to process a transaction. "Ethereum only has 13 or 14 transactions per second and that's not suitable for enterprise demand," Lombardi said. "Not everything has to occur on chain." 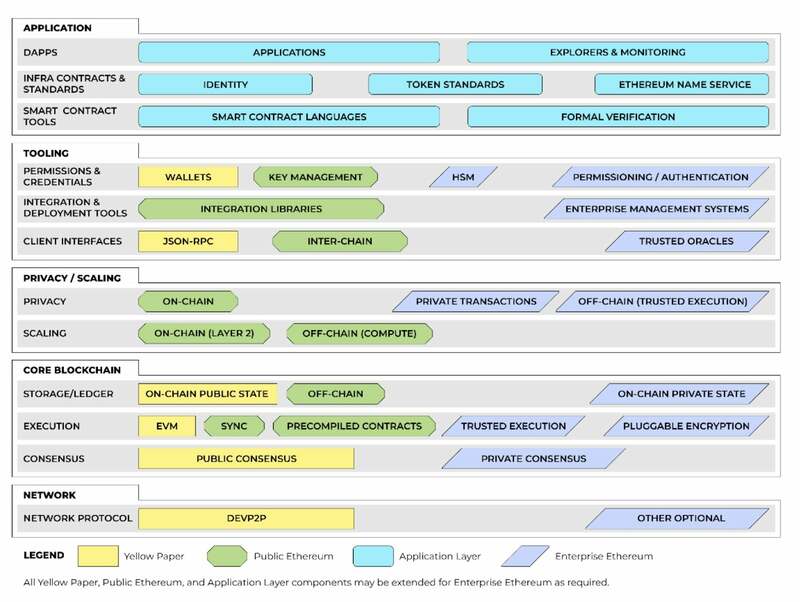 Enterprise Ethereum Client Specification 1.0 stack. The Enterprise Ethereum Client Specification was created by a technical steering committee that will work on expanding it with member contributions through October with the goal of publishing Enterprise Ethereum Client Specification 1.1. That spec will include more frameworks for business-specific applications. "Every member gets one vote, whether it’s a small or large company," EEA Executive Director Ron Resnick said during the announcement last week. "In time for that, we're working on the implementation of a certification program. And that certification program will be based on version 1.1." The specification, geared toward creating blockchain-based enterprise applications for transactional data, is important because it will deliver a standard for interoperability between companies using the distributed networks. It will also enable companies to reshape blockchain networks for future uses, according to Thomas Mason, a research analyst with S&P Global Market Intelligence. Often, enterprises will jump head first into a new technology, using a start-up to build an application for a specific business purpose only to discover after the vendor contract runs out that the application isn't serving its needs; once the application is built, however, it cannot be modified as it is purpose-specific, Mason said. "The new specification also allows developers to be able to create apps that, even if you don't want to use them for public ledgers, they still have the capability to do that," Mason said. Public blockchain ledgers, such as bitcoin, have no central authority; the ledger is governed by a consensus mechanism among users. Conversely, a private or "permissioned" blockchain has a central administrator that vets those who are then allowed to join the blockchain. A permissioned blockchain, for example, might be used among business partners who have a common purpose – such as cross-border financial transactions or supply chains. International companies can also create internal, permissioned blockchains to transact between various divisions or business units. Along with permissioned blockchains, businesses can also use public blockchains to crowdfund projects by selling cryptocurrencies through initial coin offerings – in this case, Ether tokens – or to promote customer loyalty by issuing tokens. For example, some businesses are considering the use of blockchain networks for customers to trade loyalty points as tokens on an exchange. A customer purchases so many groceries, then gets so many tokens to trade with. The value of the token, like any cryptocurrency, is determined by the marketplace. The Ethereum organization's blockchain is a series of protocols that define a platform for decentralized applications or dApps. Like other business blockchains, such as Hyperledger, Ethereum has the capability to execute "smart contracts," a business automation tool. When certain conditions of a contract are met, the blockchain executes commands. For example, in a real estate transaction, once all parties have agreed to the terms of a deal by entering their consent on the blockchain – and the banks have approved a money transfer – the blockchain can automatically execute that transaction.